Child marriage rates in Mali are very high. More than half of women 20-24 report being married by age 18 (52%) and 17% by age 15 (UNICEF 2017). The rate of child marriage is particularly high in rural contexts as compared to urban areas. Childbearing also occurs early in Mali, with the median age at first birth among women 20-24 reported as 18.3 years (DHS 2013. Research suggests that child marriage in Mali is related to a lack of quality education for girls as a viable alternative, as well as traditional practices such as polygamy that influence age at marriage (UNICEF 2017). As the research partner the Population Council is working towards two goals– a complete analysis and description of the context of child marriage and an assessment of what works by reviewing collected data and other data, including secondary data analysis. Considering education is a critical component of a healthy transition to adulthood, the MTBA program in Mali emphasizes on making sure girls are provided with a quality education in a safe school environment and that they stay in school. The program is working to design and implement school recruitment strategies as well as school-based interventions to reach the most vulnerable girls who are most at risk of early marriages or dropping out of school. This approach will prevent (further) drop outs and assist married girls to remain in or re-enter school. MBTA provides support to establish girls groups and train them on savings and financial literacy. It further supports the development of small business which will provide the girls with an income – and therefore more independence. MTBA supports the establishment and training of local child protection committees, including trainings on referral and reporting mechanisms related to child protection issues, and of paralegals to provide legal and counselling support to children. Through this program, the community health services are being strengthened through trainings in youth-friendly SRH services, social accountability systems of SRHR services and promoting a sustainable supply of SRH commodities and equipment. The community awareness and mobilization are disseminated through radio and TV broadcasts, training for journalists and the use of role models. Edutainment strategies -compelling drama and educational messages- are developed and implemented to challenge behaviour and norms around child marriage. The program is raising awareness and providing support to community and religious leaders to enable them to fight child marriage in their communities. In terms of advocacy, the high-level multi-stakeholder dialogue will be organized, together with other partners active in the Child Marriage Platform, and a campaign against child marriage will be conducted with the use of policy champions. Child parliaments will be trained and supported to develop a national action plan to end child marriage. 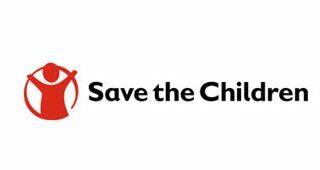 In Mali, Save the Children and Oxfam Novib work closely together in Ségou and Sikasso through local Civil Society Organizations – Walé, FAWE, A SORO (Segou region) and AGIR (Sikasso region).